Are you a Scout In Charge of a new event and in need of a Sign-Up Sheet? Click the following link and fill out the form. Please add as much detail as possible so the sign-up sheet can be created properly! Account and password to login. 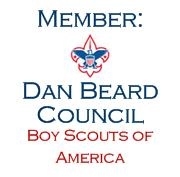 If you would like to join Troop 967, click the button below for more information. Alternatively, you can visit us - Our Troop meetings are held every Wednesday at 7pm, at the Sacred Heart of Jesus School Cafeteria.